You've followed their love story across the world and to be fair, at least once, you wished it was you holding this photographer's hand. 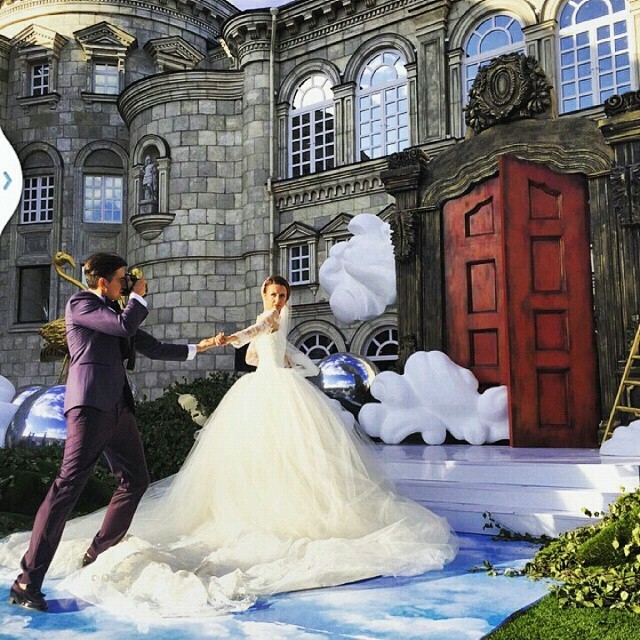 The "Follow Me" couple got married last month and their wedding was absolutely amazing. A fabulous fairy tale where the princess gets to marry her prince. From 2012, the "Follow Me To" project got worldwide famous. Photographer Murad Osmann took photos of his girlfriend as they traveled around the world. The pictures were amazing. Admit it know... you kind of wished your man took you on a world tour and snapped those romantics pics of you. June 6th 2015, Osmann and his girlfriend Natalia Zakharova tied the knot in a gorgeous ceremony. The bride wore a Vera Wang princess gown, with midi lace sleeves and a long long train adorned with floral lace.